At Bekdon Richards, our mission is to drive positive results for our clients, whether that be in the buying, selling or leasing sector of the property market. We offer a range of services and pride ourselves on our hard work and dedication. A solutions-focused group of professionals, we are here to make your life easier and achieve amazing results. 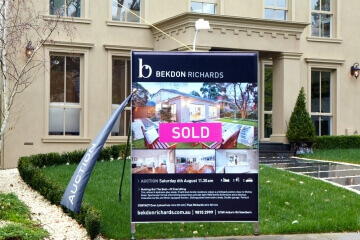 Based in Hawthorn, Victoria, we are situated in the center of a buzzing property market. We boast a team of vibrant and diverse individuals, whose skills in the property management and development sector continue to drive consistent, strong results for our clients. Our experienced property managers have strong negotiation, sales and strategic thinking skills which will aid your return on investment. We offer services such a market appraisals and transfer rentals for selling, as well as information regarding open for inspections, auctions and properties for sale for buyers. If you are looking to lease, our Open for Inspection listings are also available to view via our website and we also provide rental assessment services. Whatever your enquiry, Bekdon Richards are well equipped to service your request and manage your property enquiry. We have a great team who drive amazing results for our clients and achieve sales objectives. See for yourself and read our testimonials here to see what our clients say about us. Our friendly team are always available to answer any questions you may have. For more information, do not hesitate to contact us today on (03) 9815 2999 or email us at enquires@bekdonrichards.com.au.